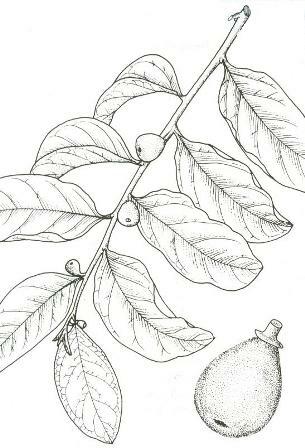 Synonyms: Anacolosa arborea, Salacia bartlettii. Other names: Belian landak, salungugapit. Galo is a native of East and South East Asia. It is grows in Burma, Thailand, Andaman Islands of India, Peninsular Malaysia, Sumatra, Java, Borneo, Philippines, Celebes, Moluccas etc. The tree is found mainly in backyards and forests as volunteer trees. 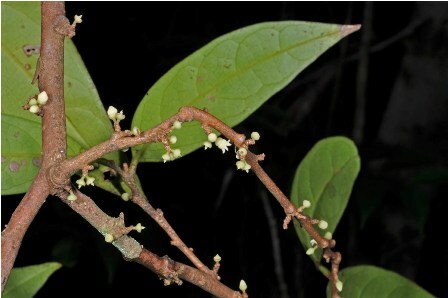 Galo is being considered as a potential tree for commercial cultivation. An erect shrub or tree growing up to 25 m tall. Leaves alternate, simple, penni-veined, glabrous. measuring 7-15 cm long and 4.0-6.5 cm wide, stipules absent. Flowers small, white-creamish, numerous, placed in axillary bundles, 3 mm diameter. Fruits oblong or egg-shaped, measuring 1.8-2.0 cm long and 1.5-2.0 cm in diameter; orange red fleshy drupes, peel light green, a thin shell and a large nut. Both pulp and kernel of galo are edible and eaten. The pulp is often eaten fresh. Many people boil the fruit before eating which is supposed to turn the taste more delicious. The kernel is eaten after roasting. The wood of the galo tree is used as house posts. Galo can be grown upto an altitude of 700 m in shady environments where there is no pronounced dry season. New plants can be raised from seeds but germination takes more than 100 days. Propagation by air layering is possible and takes about four months until separation. However, the survival of marcots is poor. 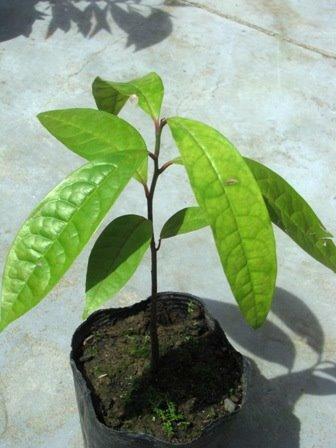 Cleft grafting is highly successful using one-year-old or older seedlings as rootstocks. Not much is known about the cultural requirement of galo. There seems to be no serious diseases but exposed roots have been observed to have been damaged by borers. The fruits are harvested and sold in the market while green. It is recommended to sun-dry the fruits for about three days prior to storage. This prolongs their shelf life by a few days.